PS big reminder get out there and VOTE today! We had just over 120,000 ENTRIES! Fan Pages grew NEARLY 800 fans! People say why do GIVEAWAYS??? Doing the RIGHT GIVEAWAY can make all the difference to your business! So I know that I have thanked you via email but I feel like I should thank you over and over again. I woke up this morning to over 18 messages about people placing orders & over 1100 fans (I had 446 at the beginning of the giveaway). Thank you for taking a chance on a stay at home mom & army wife trying to provide a second income for her family!!! I'm just a small town girl trying to make her little-big dream happen is this big world and you have helped my small business more than you will ever know. Thank you from the bottom of my heart. Your hard work is recognized & appreciated!!!! 1 year of ADVERTISING from Forty Toes Photography 300 dollar value is Dyan Peeples Deedrick! Win Dreamers Lullaby... An Enchanted Satin Rosette Dress For Little Ladies Available in 12 months - girls size 6 Retail... $168 from Love Baby J is Hannah Lamitina! Win a dress from Little Tickle Boutique is Stacey Jensen! WIN a Fuchsia Apple Green Tutu Outfit from Baby Blush Boutique is Laura Peters! WIN a Creme de la Creme tutu set from Gorgeously Chic is Melissa Palmer! Over the Top Dress from LilyM Boutique is Amy Williams! WIn a 60 dollar gift card to Tootie Lou Mommy Too is Cassandra Holloway ! Win 50 dollar gift card from Lillianna Marie Designs is Amanda McCoy ! Win a set from Jilly's Mom Made That is Julia Dennett ! Win a 50 dollar gift Card from Ellie Chic Boutique is Lisa Lukach Milliron ! Win a surprise orignial applique shirt and skirt from Pink Lemonade Boutique is Heather Flynt-Pierce! Win a 50 dollar gift card to Izzy B Designs is Lindsay Christine ! Win a 75 dollar gift card to Kiwi and Kiki is Debby Stolpe-Stone! Win a collection of Hydrangea Head Pieces from Galpin Studios is Aislinn Johansen! Win a 50 dollar gift card to Cotton Blossoms is Karen Short-Winters ! Win a 60 dollar gift card from the Prickly Pear is Missy Howard! Win a 50 dollar gift card to Night Owl is Alicia Sellers ! Win a 50 dollar gift card or grab bag from Sunshine Couture is Robin Baker! Win a 50 dollar gift card to Tea Party Designs is Beki Lozano! Win a custom dress from Bloomin Grace Bowtique is Alicia Ransom! Win a 50 dollar gift card to Lily Shine Boutique is Nicole Reed! Win a 50 dollar gift card to Mossyrock Designs is Nicole Reed ! Win a suprise pack worth 50 dollars from Callie Girl Boutique is Brittany Hampton! Win a 50 dollar gift card to Lemon Daisy Boutique is Christen Nichole Hammond! Win a Christmas Dress from Hickity Pickity is Bren Hughes! Win 50 dollars in READY to SHIP items from Boutique 7ONE7 is Amy Medley ! Win a 12 Pattern BACK from Boutique 7ONE7 is Alexis Allee! Win a 50 dollar gift card to All The Muches is Emilie Proctor ! Win a hat, diaper cover and mini blanket from Pink Poppies Studio is Sara Beth! Win a 50 dollar gift card to Little Blue Olive is Tiffany Krueger ! Win a 50 dollar gift card to Baby Love N More is Michelle Robbins-Hallock ! Win a 50 dollar gift card to Blueberry Ridge Kids is Allison Pamperin! Win a Ruffle Skirt from Small town girls clothier is April N Raymond Nantz ! Win "October Afternoon" Knot Dress with M2M Headband Sizes 6/12months to 6years Free Shipping within the US Over $60.00 value Trisha Forester! Win a 50 dollar gift card to Whimsical Dragonfly is Princess Nevaeh ! Win 5 cheese wraps and a 25 dollar gift card to Just Add Baby is Joanna Strenfel ! Win a 50 dollar gift card to Analisa Rose Boutique is Cara Switzer! Win a 50 dollar gift card to Rilla Rose Designs is Sarah Tapley-Crevier ! Win custom name blocks and matching head piece from Itsy Bitsy Baby Bows is Shana Langley! Win 3 Blossom Bands worth 50 dollars from Blossom Bands is Maria Medeiros! Win a 50 dollar gift card to Tansy Dolls is Melissa Cadenhead ! Win a clown bonnet and aviator hat from Just Be Happy is Samantha Cleys ! Win a 50 dollars worth of party printables from Modern Chic Tots is Nicole Nelson Ritts ! Win a 50 dollar gift card to Ruby Blue is Denise Valle Burridge! Win 4 wraps from Bunting Babes is Linda Thien Knoll ! Win a year of advertising from Fabulous Fun Finds is Julia Mango ! Win a 50 dollar gift card to One Good Thread is Shannon Yadon! Win a 50 dollar gift card to Rutherford Papers is Heather Onas! Win a Large Silver Locket with Bling and 5 charms from Origami Owl by Vicki is Camren Shipman ! Win a free holiday card set from Little Red Tulip is Anna Moses ! Win a Mommy and Me Apron set from Twirl and Tango is Sheena Boyette Jones ! Win a 50 dollar gift to Wear Splash is Allison Pamperin! Win a 50 dollar gift card to Pea Pod Paper and Gifts is Nicole Rice! Win Gift Box to include 1 custom stamp certificate box, inSTAMPables Notecards, Harbor Mist & Espresso Brown Inks, Monogram Stamp Design from Three Designing Women is Tammy Mackay Slade! Win a head piece and a necklace from Love Ella Bella Boutique is Katie Stavrinou ! Win a wreath from Jai Elle Designs is Ginger Robin Franklin ! Win a 50 dollar gift card to Tashi & Cataleya is Bella Wilbanks! Win a 50 dollar gift card to Kinder Kouture is Jackie S email jscottim@yahoo.com! Win a custom piece from Creative Images By Liz is Debbie Howard! Win a 50 dollar gift card to Poppy Petals and Lotus Leaves is Kandis Koenig Albertson! Win a 3 month listing to One Stop Boutique 90 value is Laura Peters! Win a 50 dollar gift card to Plumberri Boutique is Amber Crandall ! Win a 65 dollar gift card to The Sassy Chic is Lynne Hallstrom Ponegalek! Win wild child leopard dress from Kangacoo is Mischel Woodruff! Win a 50 dollar gift card to Little Addie's Boutique is Raina Kunde! Win a Mommy and Me set from Three Dutch Divas is Charissa Sloper ! 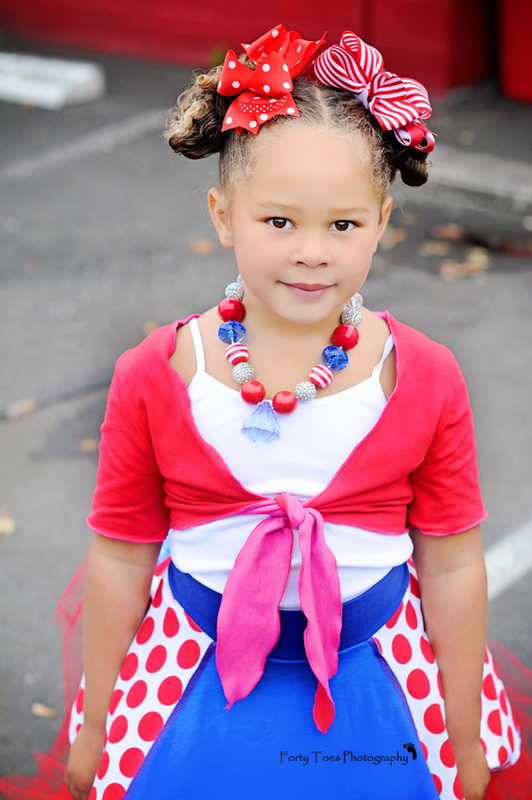 Win a surprsie Christmas Dress from razberries and raizins is Kristen Andrus Madson! Win a 50 dollar gift card to Sweet Junebilee is Amy Bealer! Win a 50 dollar gift card to Maymebelle's Closet is Michelle Robbins-Hallock ! Win a 50 dollar gift card to Made 4 You by Kelly Mcfadden is Mei Ling Liu! Win a 50 dollar gift card to Creations By Ashby is Violet Hopkins! Win a 1 hour consult from The Savvy Socialista is Lisa Bell ! Win a 50 dollar gift card to Glitzy Things is Heather Dillion-Lewis ! Win a 50 dollar gift card to Paper and polka Dots is Jessie Taylor Goodwin ! Win a Thanksgiving outfit from Tickle My Tutu is Alyssa Cerini Scherer ! Win a 50 dollar gift card to Marigolds & MArmalade is Lauren Sandeno ! Win a 50 dollar gift card to Ali's Boutique N More is Amy Martaindale ! Win a 50 dollar gift card to Sassy Pants Fascinators is Whitney Lyn! Win the dress with sash from Day Spring Dresses is Christina Benton ! Win a 1/3 page ad from Model Life Magazine is Madelin Zaycheck! Win a surprise pack from Let's All Go Wickless By Trisha Foerster is Michelle Lynch! Win a 50 dollar gift card to Stargazinglily is Jennifer Ware ! Win set shown in pic up to a size 5 from SIGnature Creations is Kirstie Ensley! Win 4t dress in picture from Owl About You is Nicole Nelson Ritts! Win a 50 dollar gift card to Splash of Color By Moonlight is Krystal Lee Cecile ! Win a 50 dollar gift card to Ellie Inspired is Erin Beight ! Win 6 head piece from Chloe Belle Boutique is Kayla Strong ! Win a hoodie from Mama Mia Shop is Carla Bickel ! Win a 3 pattern pack from Create Kids Couture is Olivia Hoppert-Diehl ! Win a 50 dollar gift card to Princess Izzy Boutique is Ashley Turner-Burns ! Win set in picture from Tutu Graceful is Ashley Shank! Win a 50 dollar gift basket to Neishas Blue Baby Boutique is Jenny Loughry ! Win a 50 dollar gift card to Invite Cottage is Brandyce Leighnae Lavell ! Win a 50 dollar gift card to Seams2U is Sasha Singleton ! Win the cuff and necklace in picture from Zozieloo is Rene Fox Gibbons ! Win an instock item from Evy's Tree excluding Diana Wraps is Caitlyn Collins ! WIn a tutu dress worth 95 dollars from Jewelry and Bling by Dara is Jennifer Smith Zemrose! Win a 50 dollar gift card to My Addie's Attic is Melissa Palmer ! Win a piece of art from Art By Amanda Hilburn is Nicole Bowen! Win a 50 dollar gift card to Carol and Company is Tera Riggs! Win a 50 dollar gift card from In The Pink Boutique is Elizabeth Nash Cernik! Win a 50 dollar gift card to Modern Posh Designs is Kim Drogowski Simon ! Win a soap/lotion pump from Life Style Duchess is Cathy Zimmerman! Win a 3 mo membership to the Skirt of the Month club Value: $78 from Elly Belly Style is Shana Langley! 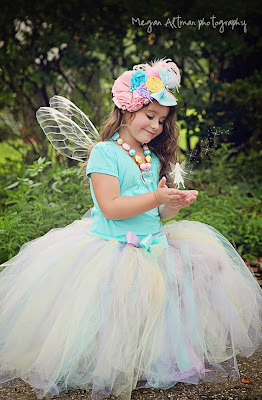 Win a headband tutu set from Zooey's Treasureshop is Cassandra Marie Rios! So reminder make sure and CLAIM your prize within 48 hours by emailing me at jennmanderson@yahoo.com ! You MUST redeem all prizes within 30 days! NO exceptions! Congratulations to all of the lucky winners!! I am sooo excited to have won!! Thanks so much for an amazing giveway! !